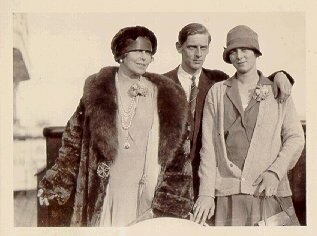 On Thursday November 18th, 1926, Louisville was visited by Marie of Romania, the first Queen to visit our city. Beginning in October of 1926 Queen Marie took a well publicized diplomatic tour of the United States and Canada and was greeted by fanfare at all stops on her trip. according to 'On Tour With Queen Marie' by Constance Lily Morris, who traveled with the Queen and chronicled her trip, The Queen entered the U.S. on October 18th. After visiting New York and Washington D.C. the Queen toured Canada before returning to the U.S. via North Dakota and heading to Chicago. Reaching Chicago of November 16th, she got word that the King of Romania had fallen sick and it was decided to cut her tour short and return home. On November 17th it was announced that she would return home and scheduled stops in Cincinnati, Detroit, Cleveland, and Pittsburgh were all canceled. At the last minute the Queen decided to keep the Louisville engagement and at 11am (an hour later than planed) her entourage arrived at the Louisville train station. Queen Marie was greeted by Mayor Will at City Hall, before a tour of Cherokee Park. The tour then headed down Bardstown road for a visit of The Old Kentucky Home in Bardstown. Governor Fields presided as host in a reception at the home. For dinner fried chicken was served and and an all black vocal quintet sang spirituals. Marie was presented with an original copy of the poem "The Old Kentucky Home Good Night." She next traveled to Hodgenville to visit Abraham Lincoln's birthplace before returning to Louisville that evening for a ball in her honor. By all accounts the Louisville trip was a success, save for one. The Courier-Journal reported that several hundred students at the William R. Belknap School in the Highlands waited in the wintery weather for a glimpse of the Royal motorcade, but due to the late arrival and last minute changes to the Queen's itenerary the children had missed their chance.